Do you hear a scratching noise coming from underneath your bathtub? 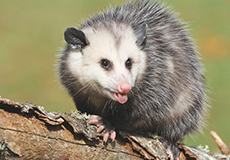 If your home has a crawlspace, opossums can enter that space and end up living there. When you need help trapping and removing an opossum from under your house, call on the experts at Wildlife Solutions, Inc. for opossum removal. Don’t wait for the noise to simply go away. If you leave an opossum living under your home, they will often die there, leaving an intense smell. Opossums rarely carry rabies, but it’s common for them to carry fleas and ticks and the diseases those pests transmit. 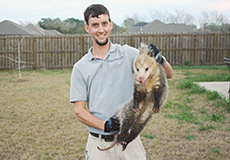 Protect your and your family’s health by getting our experts to remove the opossum.. Depend on the most experienced team in the area when you need to have an opossum removed from your home in a safe and eco-friendly way. Trust our locally owned and operated business to get the job done right.